Choosing a website for your business might be quite a tedious matter. It's soothing to know that the solution has been found. Our Gas Trading Company Responsive Moto CMS 3 Template is a perfect option for the people who wish to create a professional website and spend little time on it, while dedicating more time to their business. It has all the necessary features for that. - Simple usage. Establishing an online resource has become such an easy and quick process you can take into in your own hands. The CMS control panel has a vast selection of widgets and modules to customize your content in the most user-friendly manner. It's so simple-to-manage that programming skills are not needed anymore. Download the theme and customize it in just a few seconds. - Functionality. 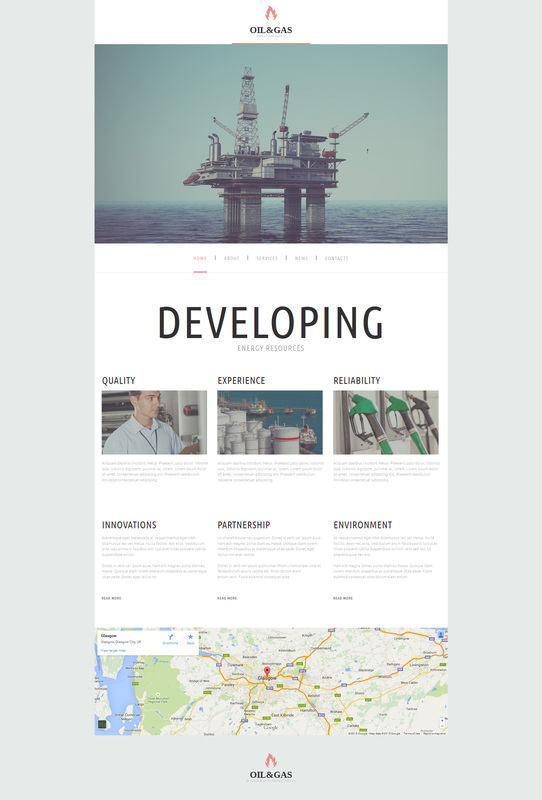 This Gas Trading Company Responsive Moto CMS 3 Theme powered by the MOTO CMS control panel gives you an opportunity to put up a super fast site with a comprehensive navigation and user-friendly interface, thinking about how to perform your product presentation successfully. - Responsive design. As a business owner, you probably understand how important the appearance of your product is. A fully responsive template provides a pleasant user experience, looking equally great on any display. Launch our free 14-day trial offer to explore all available possibilities and features. All of the changes you've made are saved after the purchase, so you don't have to start editing all over again. Contact our 24/7 support team to get professional answers to your questions.